The risk of injury in professional football is high. Injuries of the knee joint and particularly rupture of the anterior cruciate ligament (ACL) are relatively common in the sport. Surgical ACL reconstruction is currently the standard treatment in athletes. After injury and surgical repair, the first question of athletes is how long it will take to return to the field and to play at the same level as prior to injury. 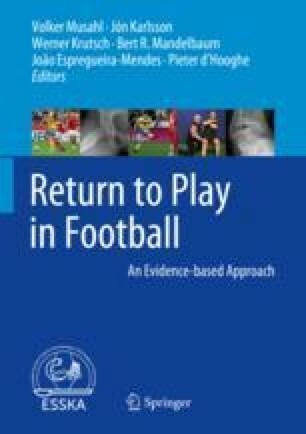 Several factors influence the return to football in athletes undergoing ACL reconstruction. Despite the numerous postoperative evaluations recommended in various studies, new high-quality studies should be undertaken in the coming years to determine specific criteria with high sensitivity and specificity for safe return to sports after ACL reconstruction.